The Lakeside’s award-winning wine list—which features more than 150 different labels—exquisitely complements fantastically prepared AAA Angus Beef selections, fabulous chops and Kelowna’s most extensive seafood. Get out of the restaurant and onto the Boardwalk. You can raise a glass to passers-by. 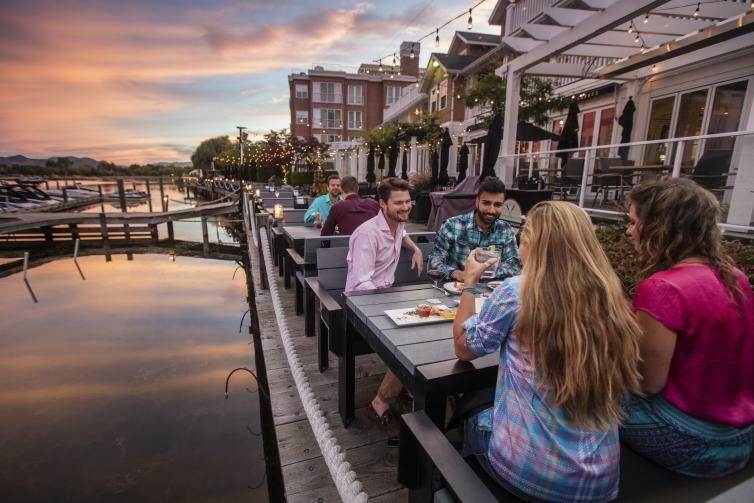 Smack Dab not only offers a sunny, stylish 150-seat patio right on the water’s edge, it hosts Kelowna’s largest hand-picked craft beer list. Pair your favourite BC-brew with a forno-oven fired pizza, and soak in the spectacular views of Okanagan Lake. An elegant patio with an unbeatable view. 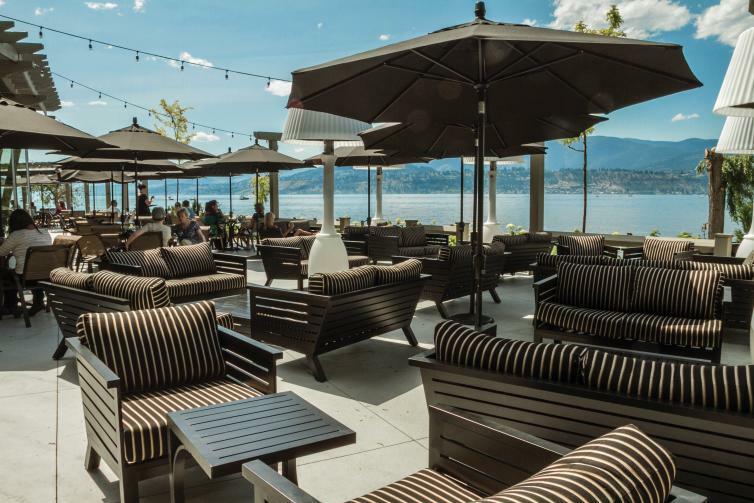 Nestled in amongst the rolling vineyards of Quail’s Gate Winery in West Kelowna, the patio at Old Vines Restaurant pairs a spectacular view of Okanagan Lake and a delicious menu of locally-sourced ingredients and some of the finest wine Quail’s Gate has to offer. 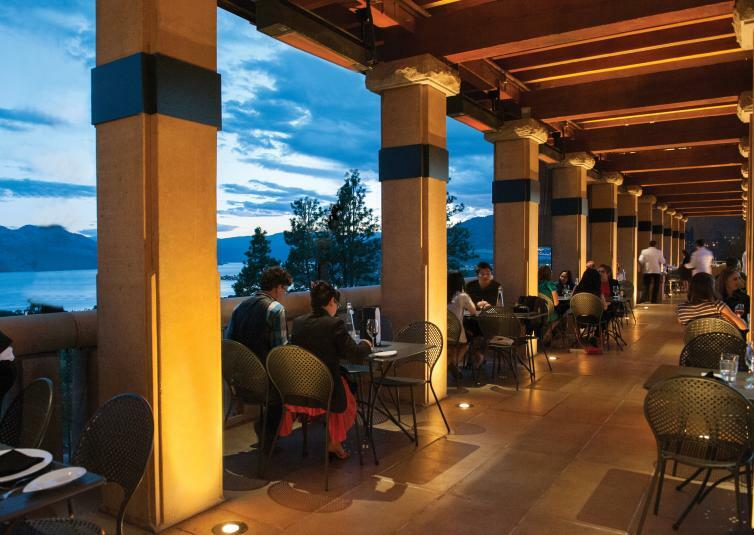 The quintessential winery dining experience is available at the Terrace Restaurant, located at Mission Hill Winery in West Kelowna. 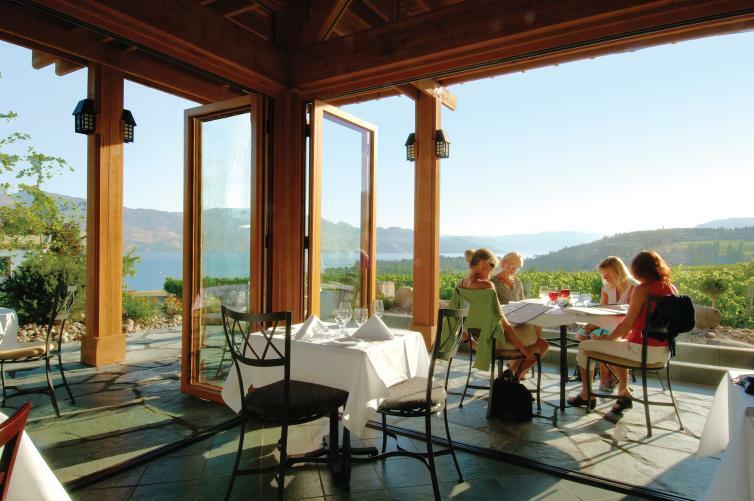 Overlooking rows of Pinot Noir and Chardonnay vines—and Okanagan Lake in the distance—the outdoor Terrace Restaurant offers stylish, seasonal wine country fare to complement Mission Hill wines. Feeling a little adventurous? Many Kelowna wineries provide picnic areas for dining. That makes for a complete Okanagan lunch – select a favourite bottle from the location’s wine store (be sure to ask for advice) and pair it with your picnic lunch. 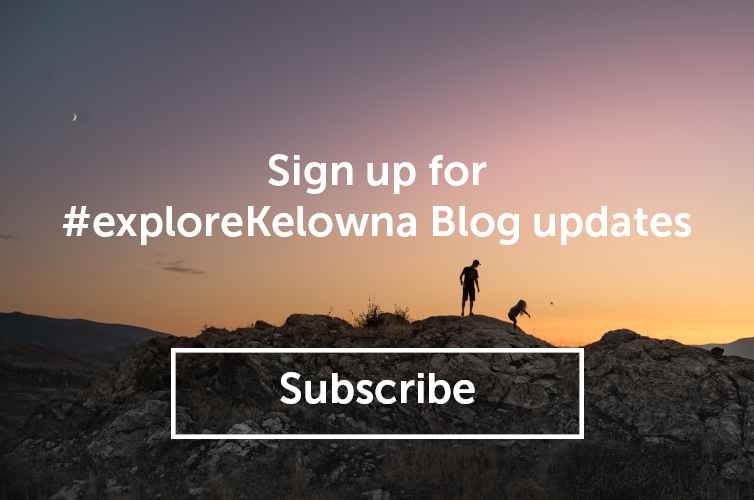 See a complete listing of the Kelowna-area wineries on five, distinct wine trails.